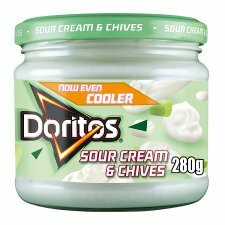 Doritos Sour Cream and Chives. Doritos For The Bold - At Doritos we believe no one should settle for boring snacks. When it comes to bold flavours, we're where it's at. 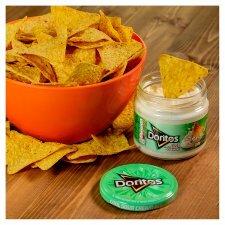 With intense flavours, full-on crunch and a triangular shape to load with dip, Doritos are the great tasting snack to share when getting together with mates. Are you BOLD enough to try the UK's favourite Tortilla Chip brand? Unleash the full Doritos taste experience with the full range of crunchy tortilla chips and tasty dips. Bold crunch, bold flavours. 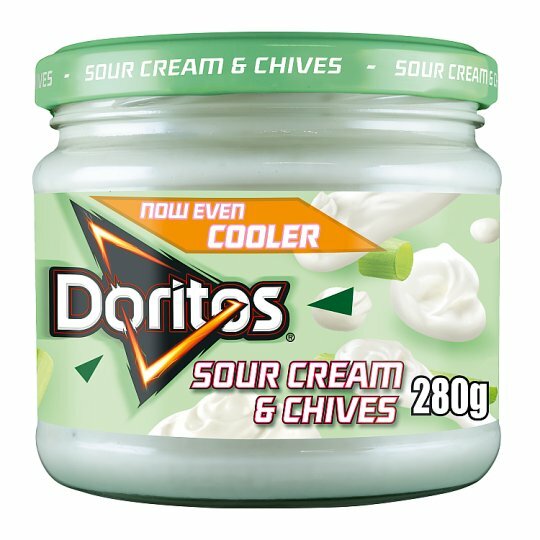 Explore the full doritos range at our website. Refrigerate after opening., Consume within three days of opening, Best Before Date, see coding on jar.